Market to market accounting, which also is often called fair value accounting, represents standard practice within much of the financial services industry. 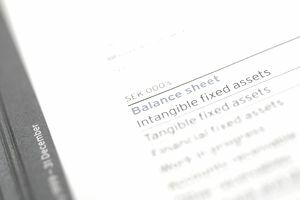 The firm's balance sheet reflects the current market value of assets and liabilities. Likewise, daily changes in the market valuation of assets and liabilities are immediately recognized in the firm’s income statement. The classic application of mark to market accounting applies to the activities of securities traders. At the end of each trading day, the firm's controllers value the securities held in trading desk inventories at their closing market prices. A net increase in value versus the prior trading day is a gain that is recognized immediately in the income statement, and which thus also increases retained earnings. Likewise, a net decrease in value from the prior day is reflected immediately as a loss that flows into the income statement, and which decreases the firm's retained earnings. With respect to liabilities, in the third quarter of 2011 new mark to market accounting rules came into effect that can result in the revaluation of the firm's debt, based on the current market prices thereof. This can produce counter-intuitive effects. For example, if the market value of a firm's debt falls, either due to declining prospects for the firm or because of a general rise in market interest rates, the value of such debt may be decreased on the balance sheet, boosting income and retained earnings. This reflects the economic reality that the firm, at least in theory, can retire its debt at less than face value. The opposite occurs when the market value of this debt rises: a loss is recognized on the income statement, reducing retained earnings. The application of mark to market accounting to securities inventories or the public traded debt of a company is most accurate when the securities in question are traded in highly liquid public securities markets, such as the New York Stock Exchange or the NASDAQ national market. With less liquid securities, the process of valuation becomes much more subjective and prone to error. Proponents of mark to market accounting, including many economists and academic financial theorists, assert that this method offers a much more realistic and accurate picture of a firm's financial position than historical cost accounting. Moreover, proponents point out that mark to market applies a discipline to financial services firms that acts as a corrective to bull and bear market cycles. During periods of declining markets, the fall in the value of assets on the left-hand side of its balance sheet resulting from mark to market accounting forces an equal decrease in the same firm's retained earnings and equity capital on the right-hand side if its balance sheet. To meet regulatory capital requirements, the firm would then have to reduce its leverage (that is, its ratio of debt to equity capital on the right-hand side of its balance sheet). Proponents of mark to market accounting will argue that this is a self-correcting mechanism that reduces the firm's risk profile during market declines. Conversely, during periods of rising markets and rising values of assets on the firm's balance sheet, the increase in the value of assets from applying mark to market accounting would allow for increased leverage. Some observers, notably Steve Forbes, longtime editor of Forbes magazine and former Presidential candidate, argue that mark to market accounting exacerbated the financial crisis of 2008. In their opinion, mark to market rules created a vicious circle in which financial institutions reported huge paper losses as the value of their securities holdings declined, decreasing their creditworthiness and credit ratings, limiting their capacity to borrow, and thus pushing them into insolvency, despite no decline in their operating cash flow.